As part of the Development Programme, which is supported by Nedbank through the Nedbank Arts Affinity Programme, The Arts & Culture Trust (ACT) will be giving out bursaries to the total of R300 000. “We are very excited with this addition to our flagship programme. With Nedbank’s commitment to the Arts we are able to invest more in our community.“ says ACT’s CEO Marcus Desando. 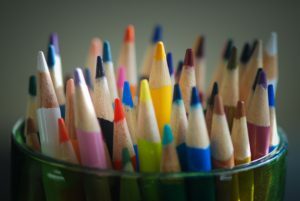 “Supporting further education of artists is an important part of the development of the arts industry” says Gerry Raftopoulos, Marketing Manager for the Nedbank Arts Affinity Programme, he added that “Nedbank is committed to assisting students along their journey as they strive to become experts in their craft”. This exciting opportunity is intended to assist young, motivated individuals to take their careers to the next level. The Nedbank Arts Affinity is a proud supporter of ACT. 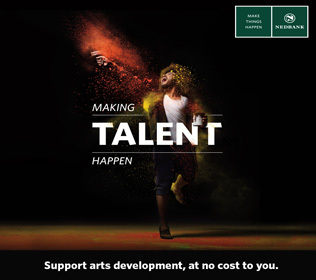 Since the inception of ACT in 1994, Nedbank has raised and distributed more than R16 million through its Arts Affinity Programme, in support of more than 800 South African arts, culture and heritage development projects, at no cost to its clients. To open a Nedbank Arts Affinity account please visit any Nedbank branch or call 0860 555 111, or click here(https://www.nedbank.co.za/content/nedbank/desktop/gt/en/aboutus/green-and-caring/affinity-programmes/arts.html) for more information. Hi Bongani, unfortunately this bursary is only for South African postgraduate study in the arts. Hi Nicola, it is fixed now. The Apply click link is not working, can you please fix this? Hi Nhlakanipho, apologies about that. The link has been fixed and you should be able to click on it now. Hi Tshegofatso, yes it does include an MA in Fine Arts. Hi Reneilwe, either will be considered but Full-time will be given preference. My daughter would be doing her 2nd year next year at Afda for Film directing and writing. CAN she apply for this bursary? Hi Hailey, unfortunately this bursary is only for postgraduate study (ie; Honours, Masters or Doctorate level). I’m Nigerian, studying at a South African University. In my 2nd year in 2018, and it’s media and Communication. But my focus is about Nigeria not SA. Do I qualify to apply? unfortunately this bursary is to develop the South African creative knowledge economy so we will be unable to assist you. My academic year starts from April every year. At the moment my current academic year for my MA (FA) ends in April 2018, which means that I can only register for 2018 in February or April. Will it be possible for me to apply and to attach my 2017 proof of registration? You can use your current registration as proof of application. I am a Zimbabwean student studying media at PhD level and my focus is on South African journalism. I am studying at a South African university. Am I eligible to apply? Unforntunately the bursary is only available to South African citizens as per our trust deed. I have a Fine Art diploma. I’d like to apply for PGCE, where does this put me on this programme ? Can I apply ? Unfortunately the PGCE is not an arts subject. Do you mean the forms for applying to the Post Graduate Bursary? Would I be able to apply for this bursary for a second year of a Masters in Music program and would I be able to use my research proposal acceptance form as proof of acceptance into the program? Unfortunately our Trust Deed only allows us to assist South African citizens. When are you going to give feedback wheather we succesfull or not? Hi when are we going to get feedback weather we successful or not? Hi Nnhlanhla, As stated on the call, please note that the closing date for applications is only the 10th of November 2017. We will give feedback on the 4th of December 2017.